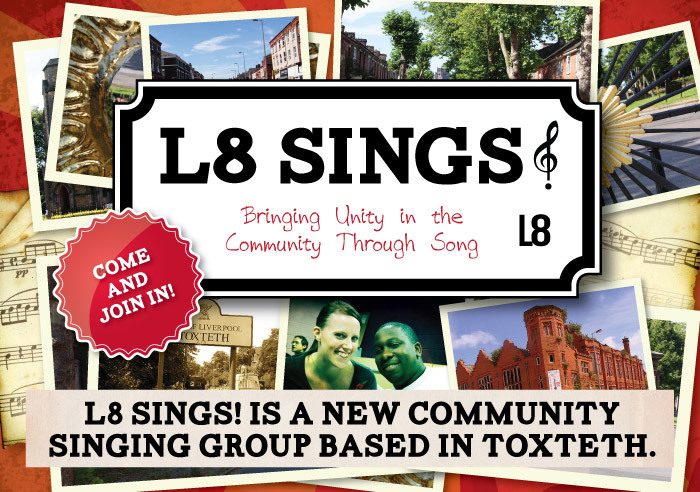 L8 Sings is a new community choir based in Toxteth Liverpool. The choir's purpose is to "Bring Unity in the Community Through Song". We worked with them to create a brand identity, and print campaign.